Web design is a very important subject if you are running an e-commerce business. The general public no longer eyes e-commerce sites with suspicion. And eCommerce sites in many cases have already overtaken traditional brick-and-mortar stores. For many consumers, the first and only thing they will ever know about your business is its website. With the website being the primary channel for transaction between customer and business, good ecommerce web design should not be ignored. 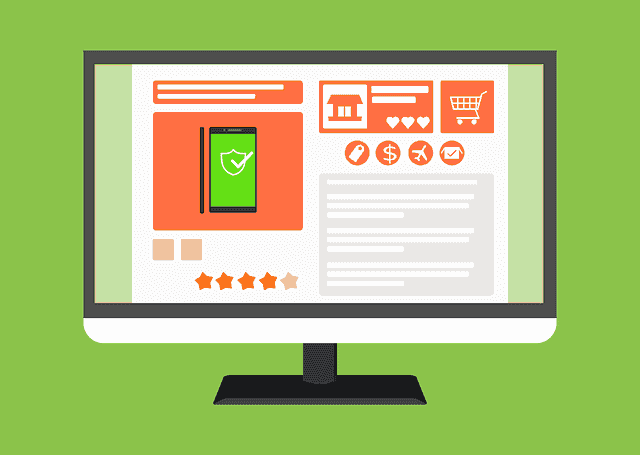 Think of how badly a brick-and-mortar shop will suffer if they have poor upkeep, unfriendly staff, and hard to reach shelves – the same thing will apply to an ecommerce site with poor web design. Existing design – if your eCommerce business is just an offshoot of an existing brand or business, there is a chance that there are already existing designs, trade marks, and products that must be taken into account before starting a new website design. Product photos – a business will most likely have product photos on file even before they start on the website design. These product photos will need to be taken into consideration during the design phase, to ensure that they will not clash with the layout. UX – this acronym stands for User Experience, and is one of the most important factors when designing an eCommerce website. There is a tendency for some people to worry too much about the aesthetics that they forget the main purpose of an eCommerce website, which is to sell a product or service. A convoluted design may end up confusing customers and prevent them from getting to the pages that are relevant to their interests. The main goal is to have a website design that looks pleasant, but still simple enough to navigate. The biggest advantage that a business can ever have over the internet is trustworthiness. If a customer gets the impression that your online store is amateurish and untrustworthy, they may take your business elsewhere. We at Blitz Marketing Group will ensure that your website will represent your brand and company properly, with a professional-looking website that feels safe for users. Our team of web designers know how to build websites that are beautiful yet simple and functional. The site should always be designed to encourage readers to purchase or sign up. We leave no gaps in the user experience. The visitor will always know where to go and what to do. Similar to credibility, customers also expect a certain degree of transparency from a business’ website. They want to see that the company they are dealing with is a real business run by real people. So things like contact information and information about shipping and returns are easy to find. It also applies to the presence of customer reviews and business locations. All the above things are part of a professionally done eCommerce website, and there are others. Wealth of content, accurate information and best practices for search engine optimization are also included if you choose Blitz Marketing Group. Contact us now and one of our helpful staff will happily answer all of your questions.